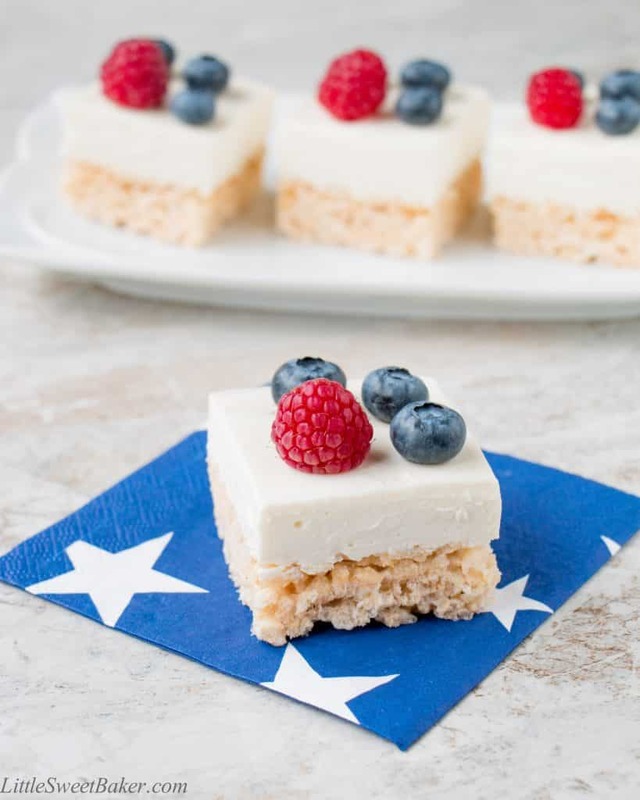 Crackly rice cereal combined with a smooth no-bake cheesecake makes these crunchy-creamy bars absolutely irresistible. Top with some raspberries and blueberries for a patriotic red, white and blue theme. I saw this recipe on the Food Network and was immediately intrigued with the idea of crispy-crunchy textured bars topped with a silky-smooth cheesecake. The original recipe also used red and blue berries to decorate. That along with the white color of the cheesecake makes it a festive dessert for the Fourth of July. 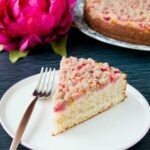 The recipe begins with your standard Rice Krispies squares and while they cool, you prepare a simple no-bake cheesecake. Pour the cheesecake mixture over the top of the Rice Krispies and chill for 2 hours or overnight. 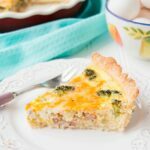 With this being a make-ahead recipe, it gives you more time to have fun with your friends and family. Also, it’s a perfect summer time treat because it’s no-bake and it’s served chilled. These dessert bars are cool, creamy and tangy with a light and crispy texture. The berries add a fruity and refreshing taste to the vanilla-marshmallowy flavor. 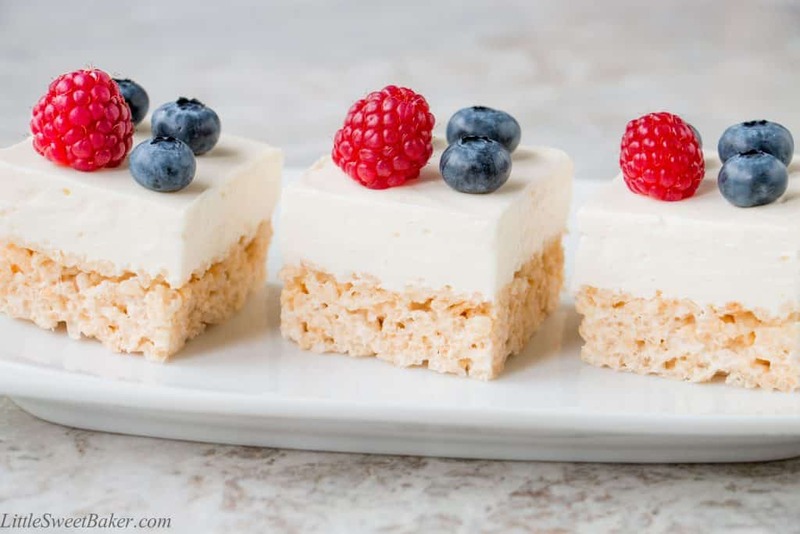 Crackly rice cereal combined with a smooth no-bake cheesecake makes these crunchy-creamy bars absolutely irresistible. Line a 9″ square pan with foil and lighly coat with cooking spray. In a large saucepan, melt the butter over medium heat. Add the marshmallows and stir until completely melted. Add in the rice cereal and mix until all the cereal is coated with the marshmallow mixture. Spoon onto the prepared pan and press into an even layer. Place in the fridge to cool while preparing the cheesecake layer. Combine the gelatin and 3 tablespoons of water in a small microwave-safe bowl. Set aside to soften. Using an electric mixer, beat the cream cheese and powdered sugar together. Add in the sour cream. Mix in the sour cream and vanilla. Microwave the gelatin for about 15-30 seconds to melt. Add the gelatin solution to the cream cheese mixture and blend until smooth. Pour over the rice cereal layer and smooth out the surface. Loosely cover with plastic wrap or foil and chill for minimum of 2 hours or overnight. 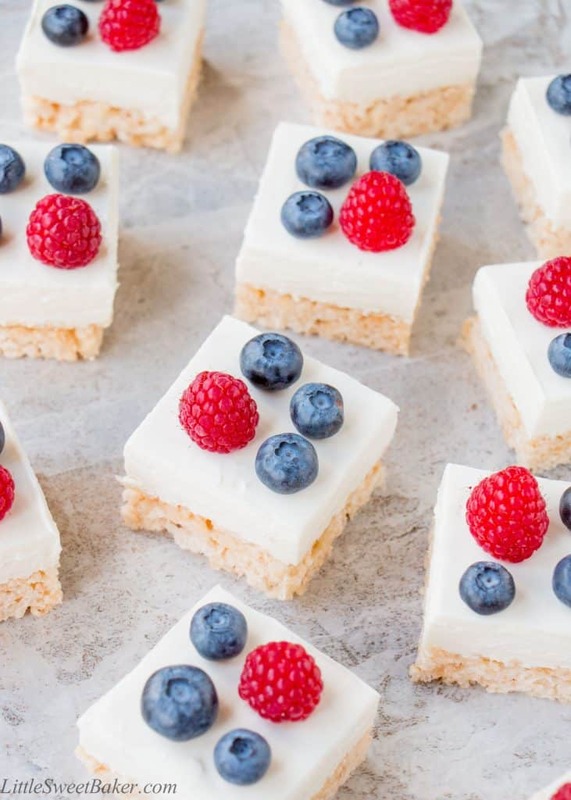 Cut into 16 squares and top with berries before serving. I bought an entire box of Rice Krispies for my kids but they never finished them. 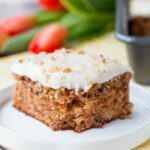 This recipe not only looks delicious, but it will also help me make use of all the leftover Rice Krispies. Cannot wait to try them out! Yes, it’s a great way to use up Rice Krispies. I hope you and your kids enjoy them! These look amazing! And Happy Canada Day! Thanks and happy July 4th tomorrow! 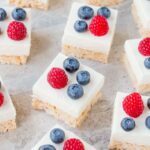 I adore rice krispie treats and paired with cheesecake sounds amazing! No-bake means it’s perfect for summer, too! Thank you for sharing at this week’s fiesta! We love our krispie treats and the thought of topping them with cheesecake is nothing short of yummy overload! John would marry me all over again if I made these! Thanks Coralice. The texture of the cheesecake and rice krispies are like heaven in your mouth. It’s awesome!